One of the first steps I take with my clients when they are looking to create the ultimate customer experience is to sit down and really drill down on their customer persona. If you’ve ever had a conversation with a marketing team before, you’ve probably heard this term thrown around. 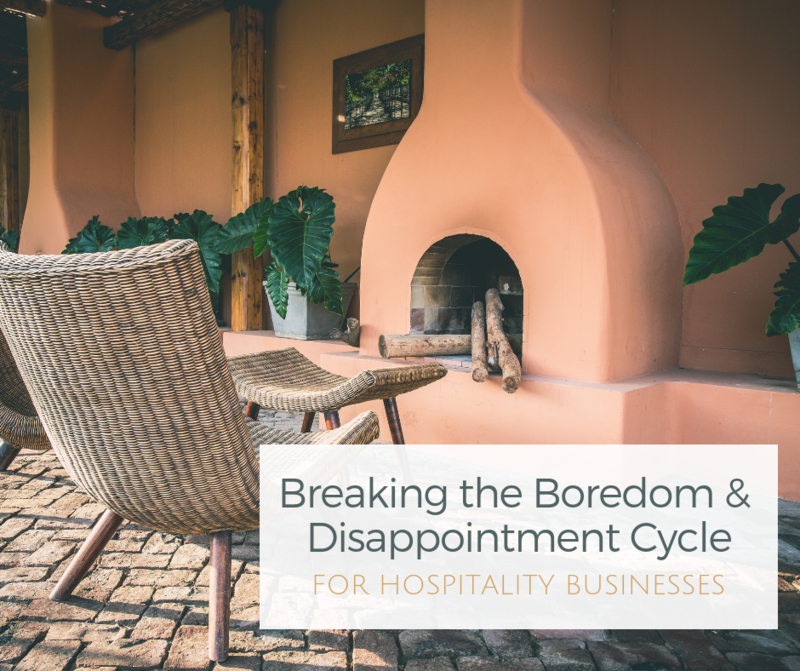 Maybe you’ve even gone through the process of developing a persona for your hospitality business. Problem #1: You didn’t drill down deep enough. 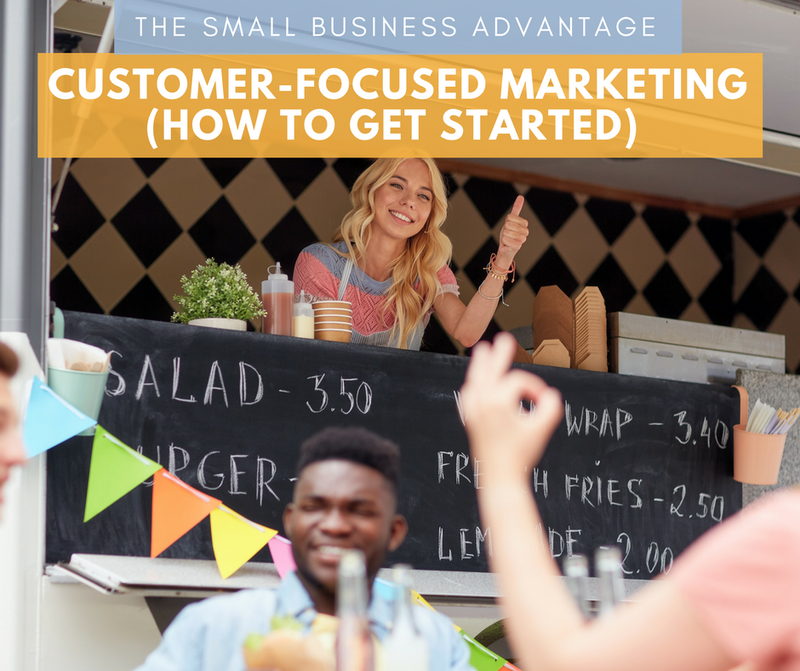 You may have the basic demographics and some lifestyle information, but that will never provide you a full picture of who your best customer is. Problem #2: You painted a picture of your dream customer without relying on any real data, or you based your persona off of what you THINK, not what you KNOW to be true. Problem #3: You didn’t use the information to your advantage. The persona guide book just sat on your computer or in a filing cabinet, unused. 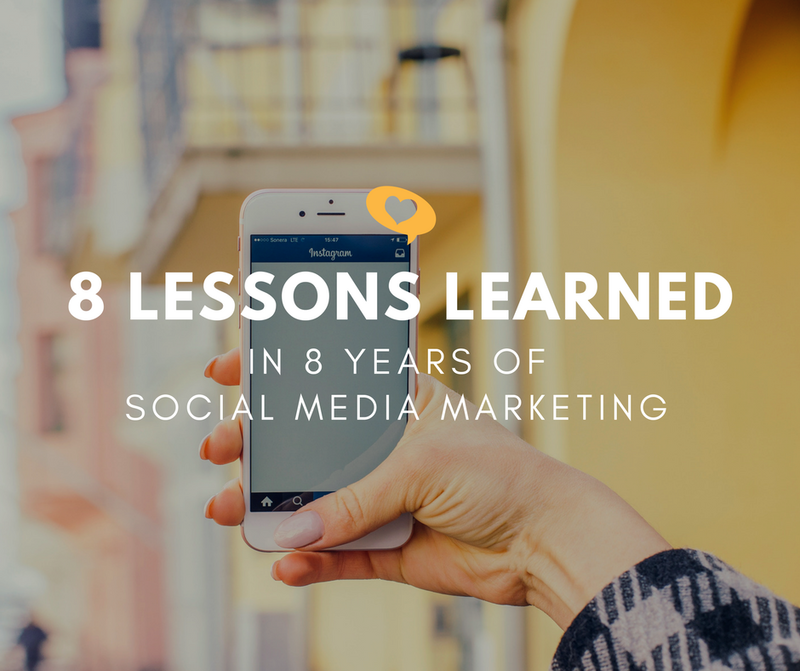 When you get super granular, it can be difficult and overwhelming to see how all of the details play into your customer experience and your marketing. But if you don’t get detailed enough, you’re wasting time and money creating an experience that doesn’t align with them. The goal is not to reaffirm that you’re doing everything right. The goal is to innovate on your current customer experience and come up with opportunities to WOW your customers that you may not have already thought of. And that can only be done once you see people from all angles. In order to demonstrate the importance of this, I have created a persona based on yours truly! The only person that we can truly know inside and out is ourselves, so this is a relatively easy task. As you review the persona profile, you will hopefully get a feel for the sort of person I am. No two people are alike, but you may even relate to many of the different psychographic traits that I have outlined here. I know this looks pretty detailed, but it’s still relatively surface level. 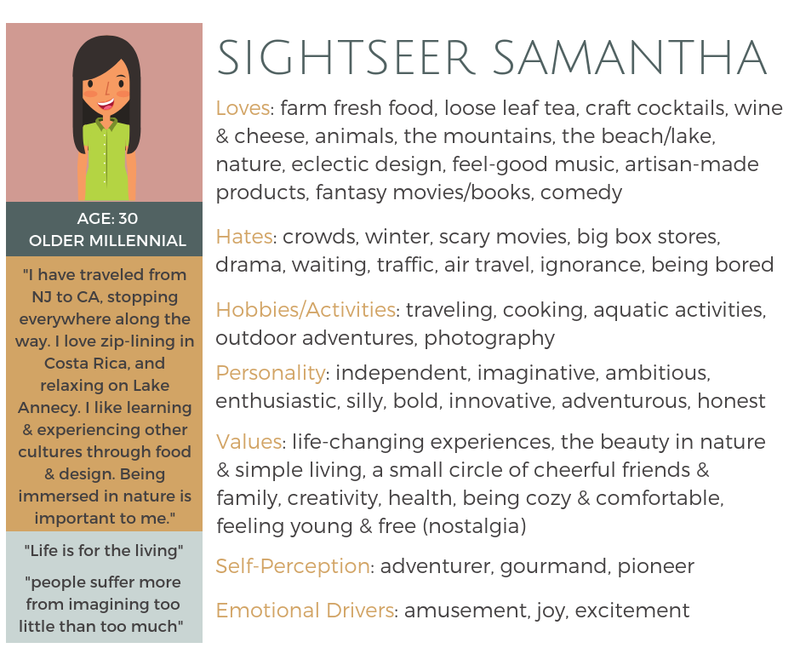 Could we go even deeper into who Sightseer Samantha is? Absolutely. 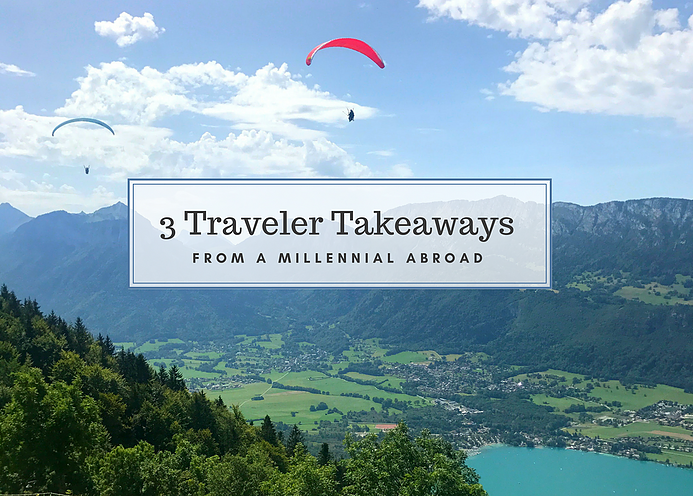 You can drive down into the brands she supports, the countries and cities she frequents, the feelings she gets when they travel… there is real power in information! But this was created just to give you an idea of what’s possible. So what would you do with this information? In order to create a customer experience that exceeds expectations, you will want to take this information and try to combine it in a way that flows. If you run a hotel or inn, then it might look like special packages, unique classes & retreats, and collaboration with local experts & skilled entertainers. Guests may have their tourist plans and activities several hours out of the day, but the rest of their time is with you. How are you making it exciting? If you operate a restaurant or eatery, it’s the ambience and small touch-points that matter most. Don’t just think about it as a place to eat – what more can this be? How can you transport them or embody their desires for culture, belonging, and entertainment? If you manage a winery or distillery, what are you doing to set yourself apart from the competition? All of your competitors are offering the standard tour & tasting. Yes, the customer is there to try the product, but in many regions this is now viewed as a tourism & leisure activity. If you can surprise & delight your customers with your experience, then there’s a greater chance to establish loyalty and repeat sales. Understanding your customer better will benefit your business in a variety of ways. The trickle-down effect from this sort of work is incredibly valuable. I would encourage you this week to spend some time thinking about your customers. Feel free to email me and let me know if you have any big AHA moments!